Ubisoft will be changing the way it works with reviewers in the future, as well as offering customers open betas and early access to more titles. 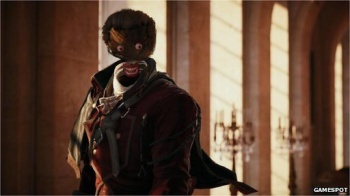 Assassin's Creed: Unity launched earlier this week, and seems to be spreading controversy whenever it is mentioned. From frame rate issues and glitches, to its controversial "post-launch" review embargo, Ubisoft has managed to raise quite a bit of criticism of both the title and its practices. Speaking to BBC, the publisher has addressed some of those complaints, albeit, in a very PR, "we're not really wrong, but we can see why you may think that" kind of way. "We are working to adapt our services and communications with consumers accordingly, both by changing the way we work with reviewers and by offering customers open betas or other early access to some games, all so that they have the information they need and want," said an Ubisoft spokeswoman. However, she tried to explain the situation away by stating that "Having the online elements available and having populated worlds is essential to creating a representative and complete experience for reviewers. Achieving this prior to launch is incredibly complex, which is why some games are being reviewed much closer - or as was the case with Destiny, even after - the game launches." For the record, Assassin's Creed: Unity's online component consisted of four-player co-op, a far cry from Destiny's massively-multiplayer worlds. As for the almost hilarious graphical glitches (such as the nightmare-fuel image of the faceless man you'll see above), Ubisoft has stated that a patch is in the works, but wouldn't offer a time-frame for its release.